The annual Gifted & Talented Summer School at The Sixth Form College, Solihull now in its 10th year, ran last week with visiting speakers and specialist sessions aimed at stretching our most academically able students. More than 100 first year students took part in the summer school, with sessions in 18 different subject areas taking place, including Mathematics, English, Science subjects, Languages and Creative Arts courses. Students tackled advanced subject matter in these sessions to prepare them for applications to highly competitive university courses. Many of these high flyers are considering making applications to Oxford and Cambridge or for competitive courses in Medicine, Veterinary Science and Dentistry. A senior tutor from Mansfield College at the University of Oxford – Lucinda Rumsey – came into College on Thursday to talk to students about making an application to Oxford. We were also delighted to have Dr Sam Butterworth (Lecturer in Medicinal Chemistry) as well as Dr Jeremy Pritchard (Senior Lecturer School of Biosciences) and Dr Nigel Watson (School of Physics and Astronomy) all from the University of Birmingham. There were also talks on selecting the right course and the right university and test sessions ran for History, English, Medicine and Law, all courses that require additional entry tests to be sat for students to gain places. 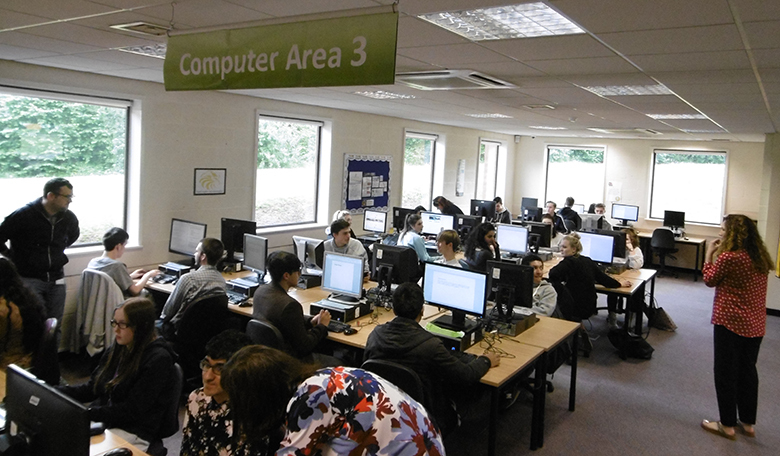 Staff were also on hand to run a practical session on preparing for the UCAS applications students will need to make. Many students applying for competitive courses will face a much earlier deadline for their applications than other students. Every year, the College helps students apply to both Oxford and Cambridge universities. This year, seven students have Oxbridge offers and it is hoped that some of those who took part in the Summer School will follow in their footsteps and apply for the following year.